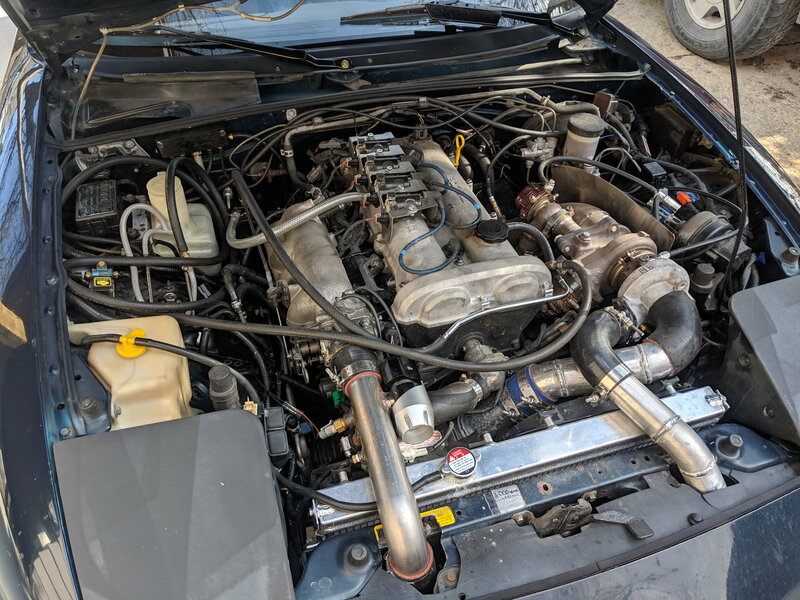 My almost finished TD05-16G setup - Miata Turbo Forum - Boost cars, acquire cats. Cool, I like it. It's something different from the norm. Interested to see what you can get out of the 16g, it's a pretty nice turbo. I think it's cool you fabbed everything yourself, I can really appreciate the effort you put in. Thanks! I'll try to get a better picture later this week. It was a lot of fun fabricating everything and it was a real moment when I got the hang of TIG welding aluminum. I'm running it at 20 psi now and it feels great. It was a big challenge to get it all working how I wanted and retain my ps/ac and cruise. I also wanted it as far forward as possible so that I could get a nice angle on a 3" downpipe. are you planning to dyno this setup? id be curious to see the spool and output. cap the intake maifold, gut the pcv, and route both valve cover vents into a vented catch can w/filter. et rid of that valve cover breather, it will spit little specs of oil all over the hot manifold/turbo cap the intake manifold, gut the pcv, and route both valve cover vents into a vented catch can w/filter. Picture is a few weeks old, which is now super out dated haha. Valve cover filter is already gone, passenger side has 1/2" barb & hose, driver side has 3/8" hose with both going to a VTA catch can. Manifold port is capped. You were definitely right to recommend going that way, I had a variety of problems. 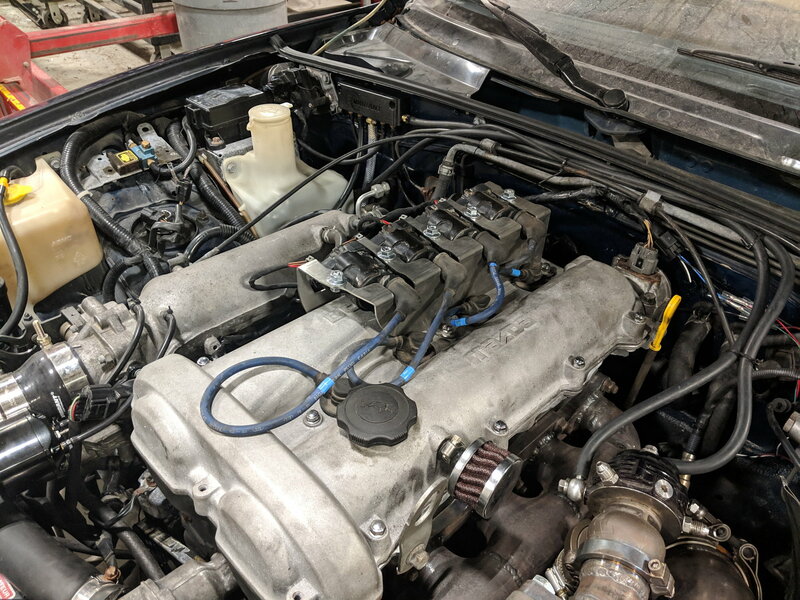 #4 cylinder was sucking in a lot of oil due to PCV port location and drivers side was spitting oil due to a lack of flow on the driver side. I am trying to get some dyno time next week. Unfortunately I had to remove the 16g due to oil seepage through the hotside. So now I am running a 14b in the 7cm 16g turbine housing. It feels almost as strong at 20 psi but comes on a lot earlier. I will dyno with the 14b, if I get hungry for more power I will rebuild the 16g again and run that. If I can't get at least 300whp outta the 14b I'm using the 16g. The nice thing is that all TD05 turbo's use the same turbine wheel and the housing is held on with a vband so swaps are 30 minutes or less, just leave the turbine housing bolted up and swap the cartridge/compressor. Here is how it looks as of today. 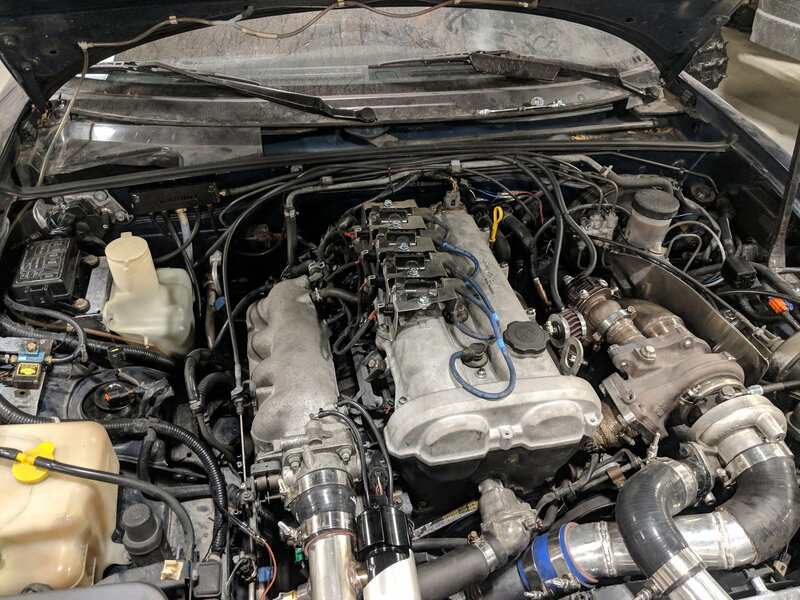 Virtual dyno must not be accurate for me, said 325whp. Thats pretty high for a 24b. That looks a fun setup! Do you have any more information on how you have plumbed and wired in your devils own kit? I'm looking at WI to work with my MS3, but not sure what to use for a solenoid and pump control. Having lots of fun so far, cept im using 1qt of oil every 60 miles if I'm flogging it. 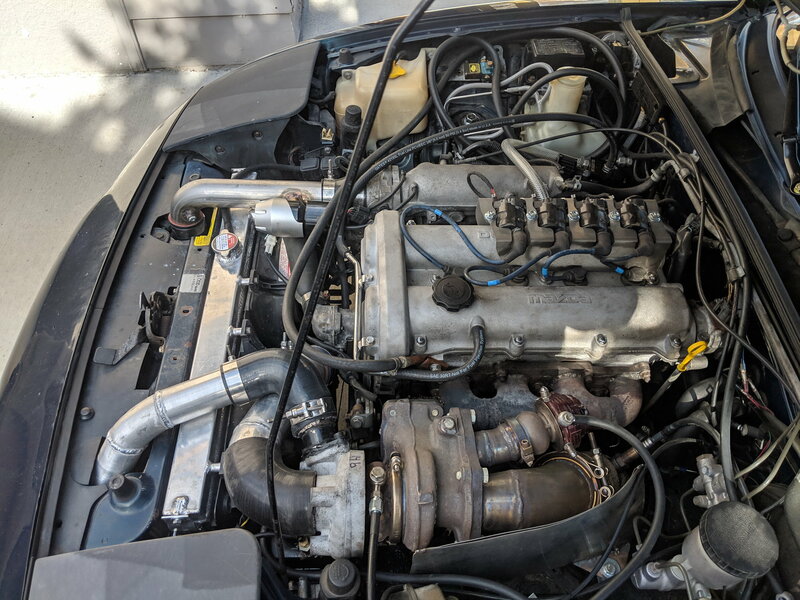 Catch can is empty and Ive tried swapping turbos. Are you on a mini or regular ms3? Im using vvt pwm output to switch the relay/pump on. Could use boost control pwm for progressive but im using it for boost control. Is your catch can vented? I was using a lot of oil until I drilled out the hole in the valve cover and welded an AN10 bung to the top of the exhaust side of the cam cover rather than the 3/8 barb. Try that if you haven't. On an MS3 basic from rev. I've used my VVT PWM output for VVT. I might have a spare output I could use for a solenoid though. So are you just using the pump as an on/off switch for adding water? How much does it help with knock and EGTs? Ya my catch can is vented, nothing collecting in it which is strange for the amount of oil i am using. I was getting oil from the 3/8 barb until i added a 1/2" barb to the driverside. I have a bad feeling i have a bad oil control ring. Ill do a leak down test one of these days. Ms3 basic should have a bunch of on/off outputs you could use to turn on the pump and it has a spare pwm you can use to cycle a solenoid. Which solenoid are you looking to use? Lower boost on Td05 16g Turbo? Need to Rebuild my TD05-16g. Options?